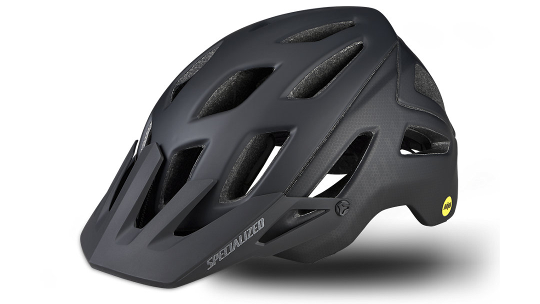 Specialized created the Ambush to provide every trail rider with a helmet that protects you as well as a full face option but has far superior ventilation and weight benefits. The Ambush has been designed to create space for google storage as well as ensuring you stay cool throughout your ride thanks to Specialized's 4th Dimension Cooling System which features massive vents and exhaust ports. The Ambush also features groundbreaking technologies that do not only enhance your performance but keep you safe. Specialized's ANGI Crash Sensor lets those closest to you know when you're in trouble. Pairing with your smartphone on Andriod or IOS, it then sends through an accurate location in partnership with STRAVA so you can be sure you're safe, wherever you're exploring. 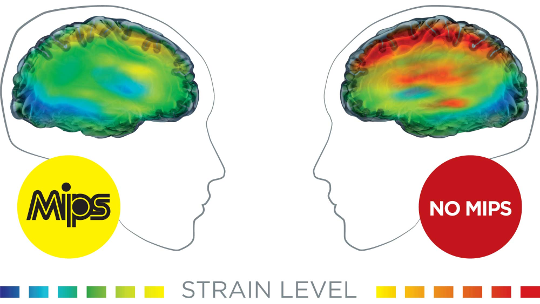 Specialized have also implemented MIPS technology which is designed to redistribute impact energy through a low friction layer which allows the helmet to slide relative to the position of the head, reducing the impact your head receives when it hits the ground. Finally, Specialized's Mindset 360 fit system features 5 different height positions as well as a rear dial to ensure you get the perfect fit. Specialized's low profile and fully integrated Mindset 360 fit system has five height positions, this system provides unmatched adjustment, while an integrated dial allows for on-the-fly tinkering. The Ambush also keeps you cool with Specialized's 4th Dimension Cooling System's massive vents and exhaust ports, so you don't have to worry about overheating—even on the hottest days. The patented aramid-reinforced skeleton provides internal EPS support.